These little jewels are always a treat to find. 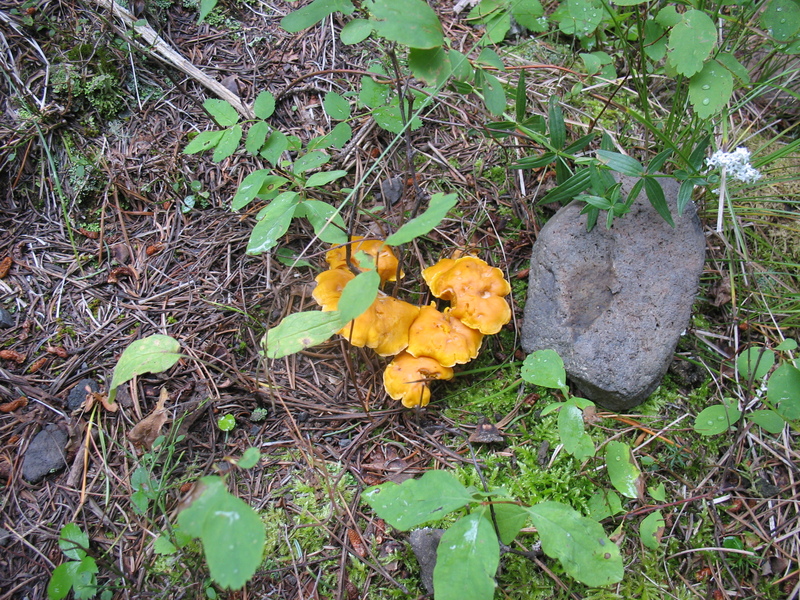 I don’t know much about Chanterelle mushrooms, I’ve heard great things about them and I would like to find a few when they start popping up. I’m wondering about what type of soil or enviroment they like and also what time do they start appering in the Bozeman or West Yellowstone area of Montana? I’m also interested in the same thing. The only mushrooms I’ve ever hunted are morels. 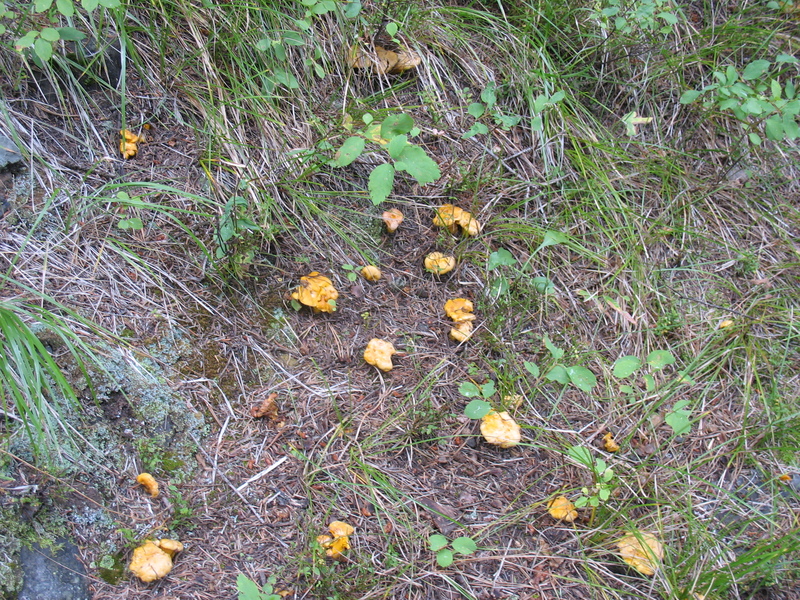 What kind of environment/weather conditions do I need to look for to hunt chanterelles? Also, Dean, are you in Bozeman? I’m going to school there right now. Such a great area! Thanks for your response. 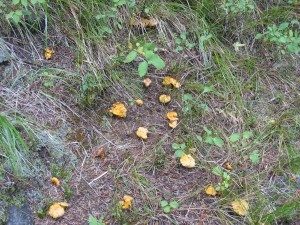 Chanterelles are great eating and a real treat to find. They come up about this time of year. I will give some clues to finding them on the website. Thank you for your response. 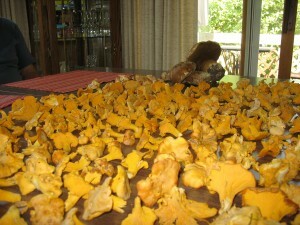 Chanterelles are a great change from morels. They are slightly sweet and very tasty. I will give some hints on the site to finding them. Yes, I live in Bozeman and it is a great area to live. Total beginner here! 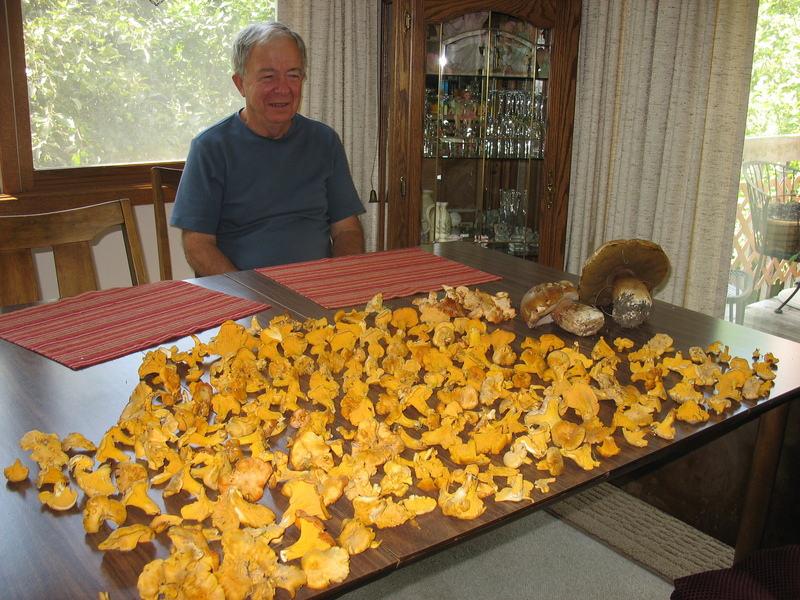 Started hunting last spring and enjoyed the mushroom challenge. Found lots of oysters and even one morel. The latter was quite the challenge. 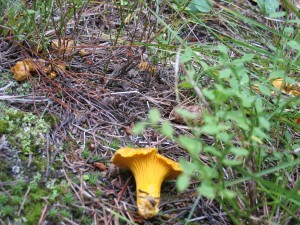 Would love to try Chantrelles, but need any advice from the pros in the know. I live near Butte? any advice? This would be a tough year to learn Chanterelles. This fall has been fairly dry and they were few and far between. In good years it is much less frustrating to learn a mushroom. The same goes for morels this spring. The oysters are reliable and a great mushroom. Learn to cook and preserve them, and you will always have wild mushrooms to eat. 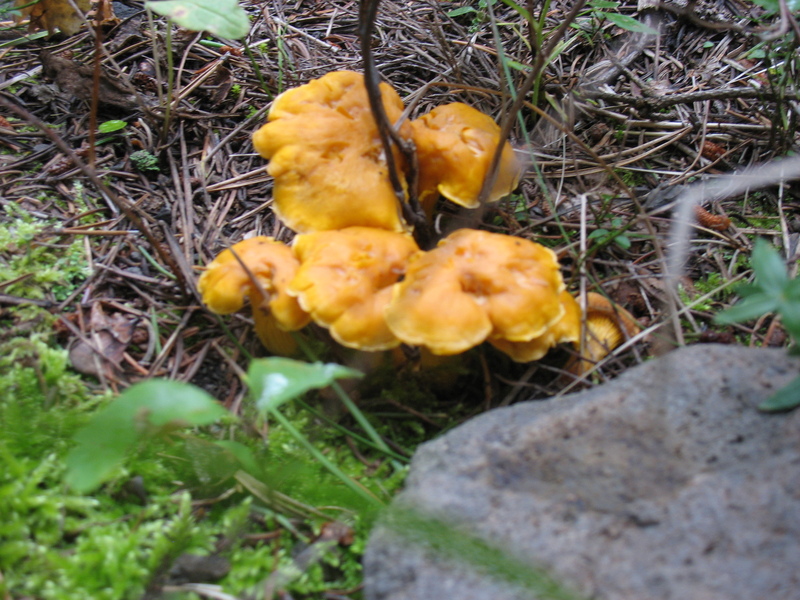 Chanterelles are very difficult to grow and have not been successfully done on a commercial scale. That being said, I never back down from a challenge and rarely listen to what “they say”. I would look for a place with almost complete shade and plenty of moisture. Moss growing would be a good sign for habitat. They seem to like spruce and birch. 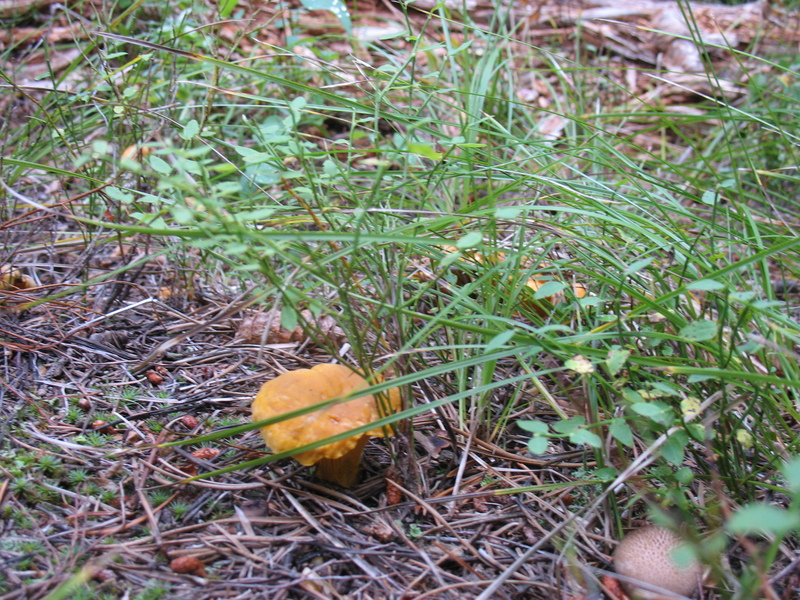 Maybe cover some of the area that you spray with cardboard to see if that helps.I heard about one chanterelle picker that tossed the pieces from trimming in his yard and they eventually grew. Just a reminder about starting from spores; the whole process of spores sprouting, then mating, then growing into mycelium that may eventually flush with mushrooms, will have to take place. It will probably not happen this year, but fall is a good time to get them started. Growing mushrooms reminds us that they are more like animals than plants! Hello,and welcome to Montana Mushrooms! I apologize for taking so long to reply, but I had to check my patches to be sure! I have never heard of Chanterelles this early in MT, but I would sure keep my eye on them! If you would give me the coordinates. I will check them for you…just joking. 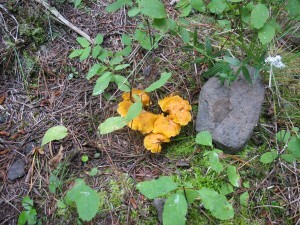 Thank you for the information and please let me know if they turn out to be Chanterelles. 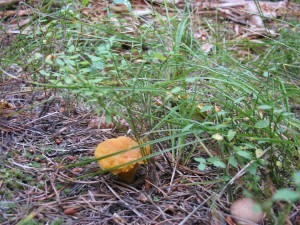 Are you familiar with any of the mushrooms in north east Montana?